Cyclists race through the one-mile course during the 2015 Tour de Murrieta. 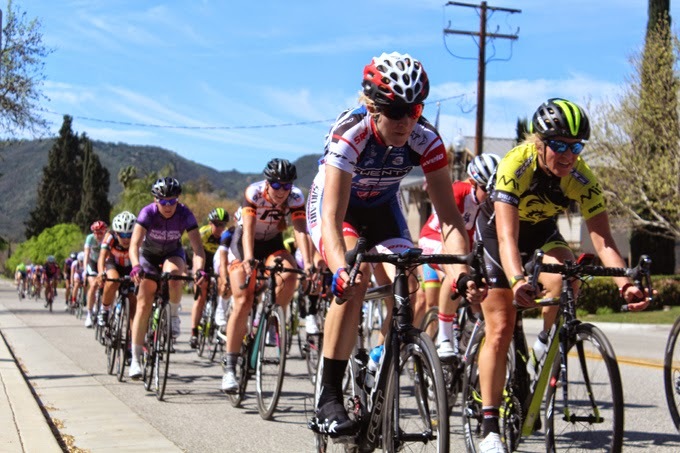 Hundreds of cyclists will race through the streets surrounding Old Town Murrieta this weekend in the Tour de Murrieta bicycle race, one of the city's popular annual events. Time trials will be held today in several divisions for men and women of all ages. The time trial course is a 6.5-kilometer course that starts with flat to rolling terrain and proceeds to a gradual one-mile climb up an unpaved section of DeLuz Road. On Saturday, riders will race on a one-mile flat course winding through the downtown Murrieta Civic Center. There will also be a Tour de Murrieta Expo with food, activities, vendor booths and a kids race (ages 3-12) at noon. The event culminates Sunday with a 3.5-mile circuit race through streets and roads surrounding the Civic Center and ranch properties near Old Town Murrieta. Races will take place in various age groups for men and women, plus pro categories featuring top cyclists. Racing begins at 7:30 a.m. on Saturday and Sunday and continues throughout the day. Registration is available the day of the race. For more information, see the Tour de Murrieta website.